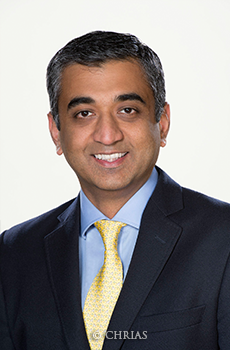 Dr. Sachin Vaid, MD, MS, MRCS, FACS, FASCRS is a board-certified general and colorectal surgeon. He attended Maulana Azad Medical College in India & the Royal College of Surgeons in Edinburgh, then went on to complete his residency at York Hospital in York, Pennsylvania. Dr. Vaid completed his colorectal fellowship at Lehigh Valley Hospital in Allentown, PA and has previously been working at Gettysburg Hospital in Pennsylvania. Dr. Vaid specializes in colorectal surgery both laparoscopically and robotically. Dr. Vaid has authored numerous publications in peer reviewed journals and presentations in national and international meetings. He is an active member of many national and international organizations, including the American Society of Colon and Rectal Surgeons (ASCRS), the American College of Surgeons (ACS), the Association of Surgeons of India, and the Royal College of Surgeons in Edinburgh. Dr. Vaid has received several honors and awards and has participated in a number of research and quality improvement projects to provide successful patient care."